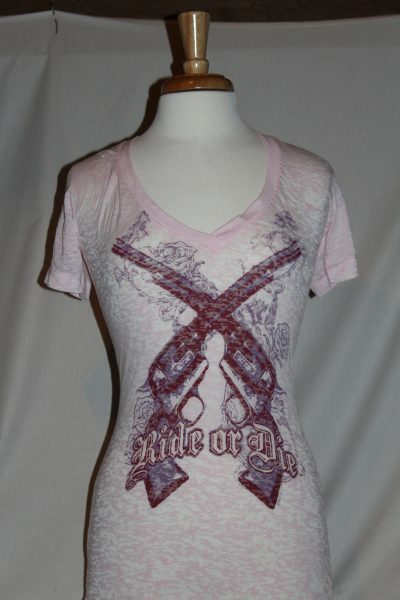 The Hot Leathers Colt Single Action Ride Or Die T-Shirt is a single sided print in pink. 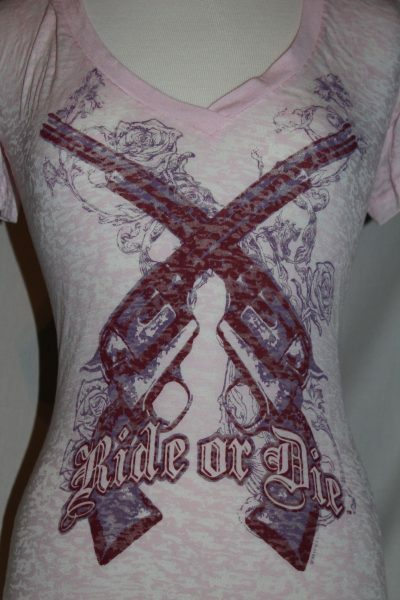 Front Design Only: Colt Pistol's and text superimposed over scroll and roses background. Hot Leathers Apparel 55% cotton 45% polyester burn-out deep v tee.